Located at the Ripley Ghost Parlor, adjacent to the castle entrance, the Ripley’s Ghost Train Adventure offers an 80-minute tour, complete with a fully interactive nighttime investigation of two properties with haunted histories. 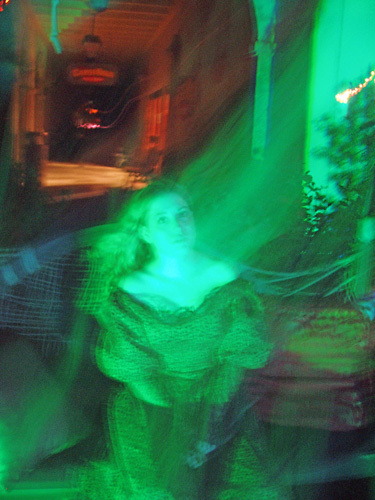 Tours include the use of EMF meters and laser grids as professional tours retell the spooky stories of the ghosts that haunt the area after dark. 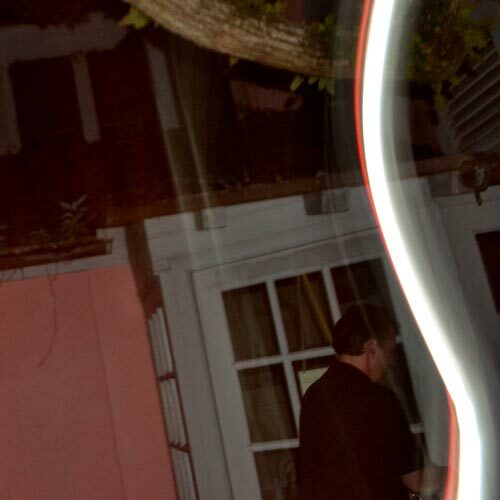 Face your fears and join us for the most interactive paranormal experience in St. Augustine – Ripley’s Ghost Train Adventure. 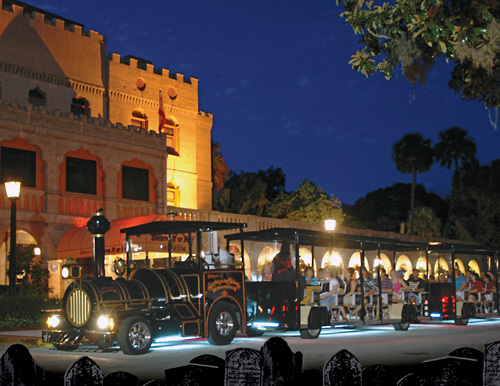 Ride the famous "Ghost Train" and hear the chilling legends and haunted tales. Travel the ancient byways amongst hallowed and haunted sites. 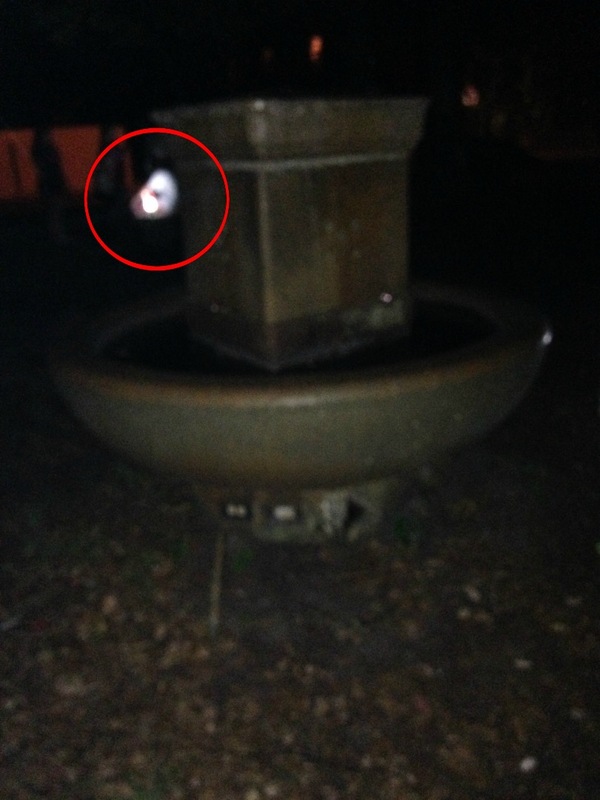 Investigate unexplained phenomena, residual energies, orbs, and other ghostly manifestations. Each paid admission will have the use of an EMF Ghost Meter and Laser grid to help you investigate the city's most haunted sites. The adventure begins at Ripley's Believe it or Not! 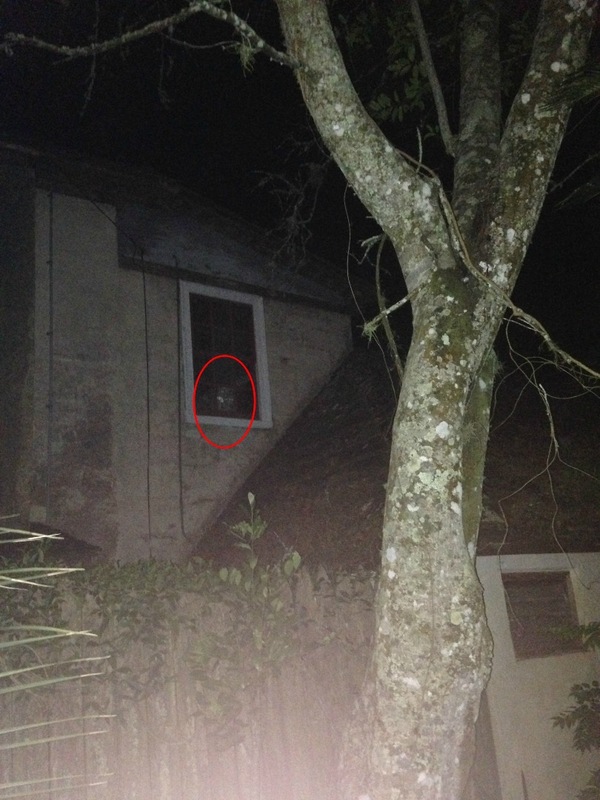 Museum, previously known as Castle Warden and scene to unsolved murders and unexplained paranormal phenomena. NOTE: In order to board the Ghost Train you must present your voucher and Photo ID at the Ripley’s Ghost Parlor at least 15 minutes prior to your tour departure time. The first train leaves from Ripley's Museum at 8pm. Be sure to bring along a digital camera and any other recording gear you wish. Where do the tours depart for the Ghost Train Adventure? Tours begin at 8pm, please arrive 15-30 minutes prior to exchange your voucher. The Ripley’s Ghost Parlor is adjacent to castle entrance. How long is the Ghost Train Adventure? This is a 90 minute tour. Where are the Ghost Train stop points? 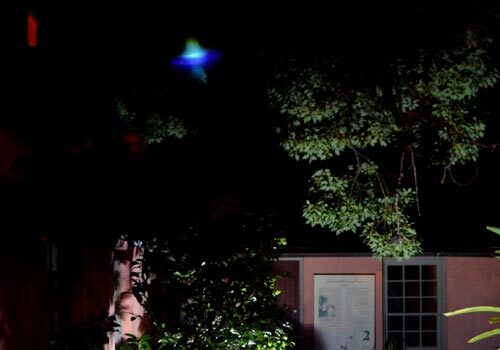 You’ll visit a real 16th century Timucuan Indian Burial ground, now known as the Fountain of Youth, AND the old Fairbanks Plantation, future site of the St. Augustine Haunted History Museum. 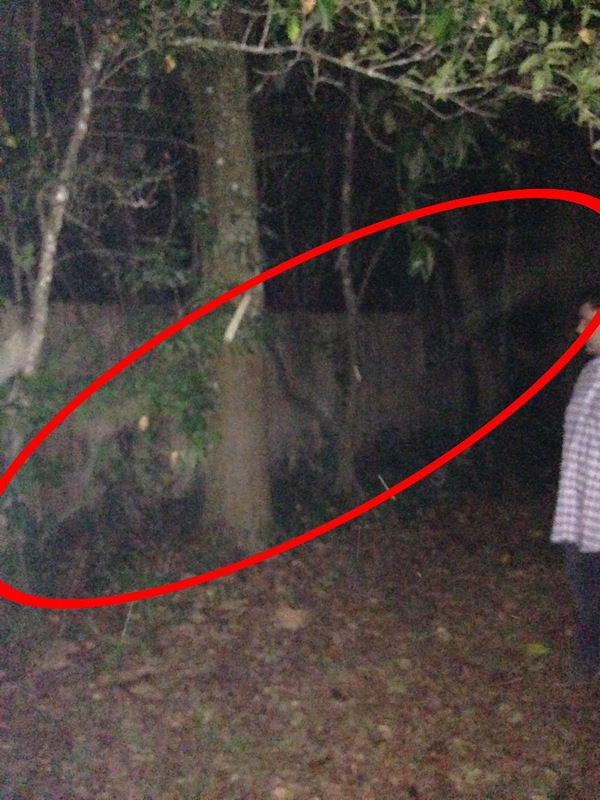 How many people experience paranormal stuff? Count the legs of all the people around you and divide by two. That’s how many different opinions you’re bound to receive concerning what is paranormal or what is an experience. Here’s a simple way to narrow it down: Humans have five senses. But many people believe that certain energies are all around us, all the time, existing in a realm which is undetectable by these senses. Yes. Flash will not affect the appearance of energy orbs or ribbons. What is the times for the Red Train Tour? If you buy the combo ticket, our Red Trains are on the road at 8:30 a.m. and run continuous loops along our 24 stops until about 5 p.m. Please plan to start your tour by 4:30 pm to be sure you get back to your starting point. During inclement weather, our Red Train conductors will provide free ponchos for our guests. Our Red Trains will be pulled off the roads and will be directed to the safest location should extreme and dangerous weather conditions arise. What if I’m only riding for one day? All of our tickets for the Red Train are valid for 3 consecutive days from date of purchase. When does the Ripley’s Haunted Castle Tour begin? Typically it starts at 8pm, we suggest arriving 10-20 minutes prior. Is the Haunted Castle good for children? This tour may not be appropriate for children under 8 years old. Is the Haunted Castle a walking tour? Yes, you will walk through the castle. 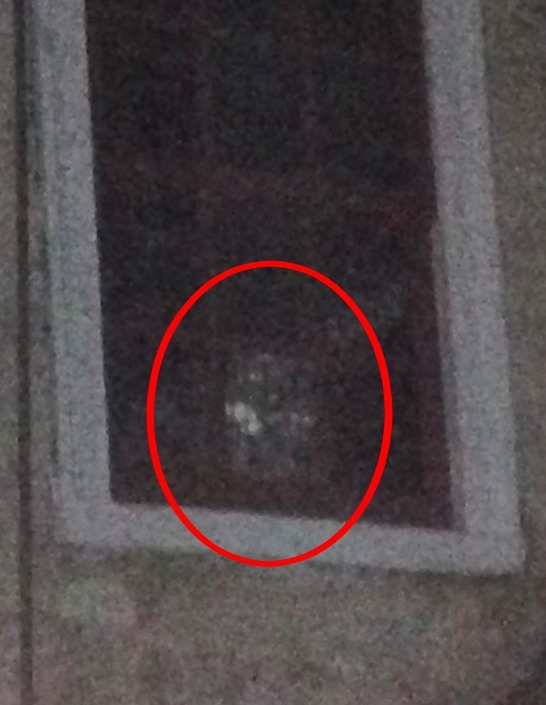 We suggest taking pictures and using the EMF meters to detect paranormal activity!